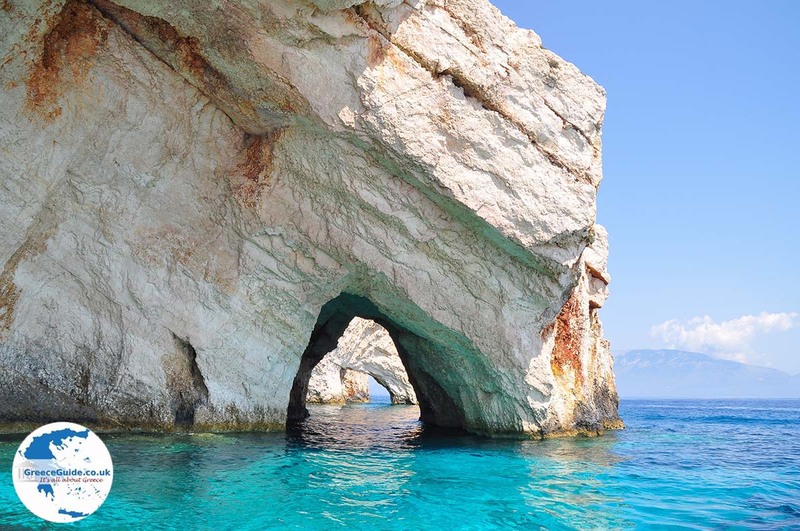 Blue Caves Zakynthos. 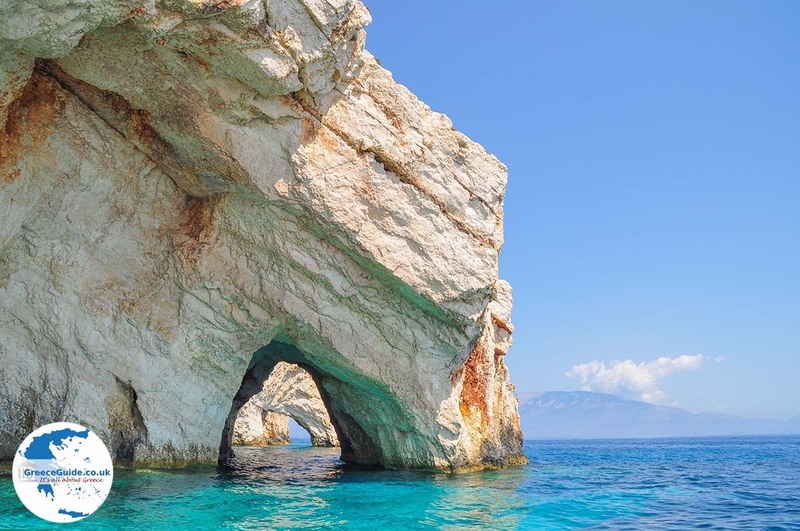 One of the main attractions of the island of Zakynthos are the famous "Blue Caves" on the east coast of Zakynthos near cape Skinari. 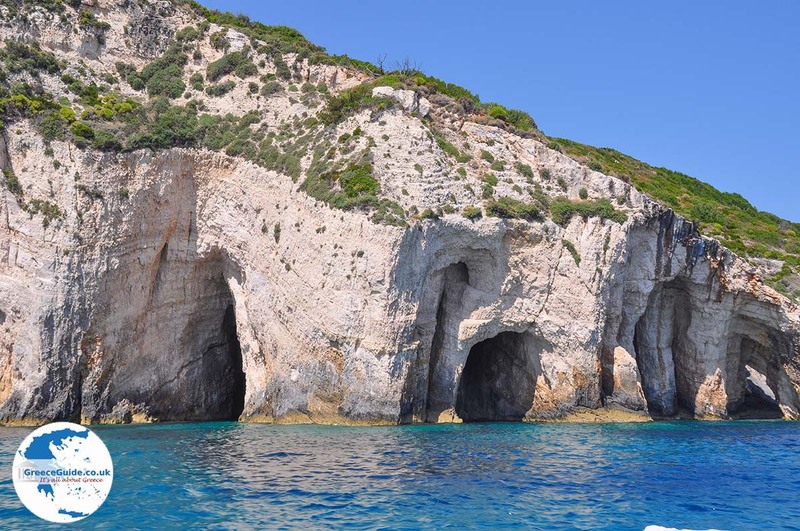 These are located south of the village of Aghios Nikolaos, 30 kilometres from Zakynthos Town. 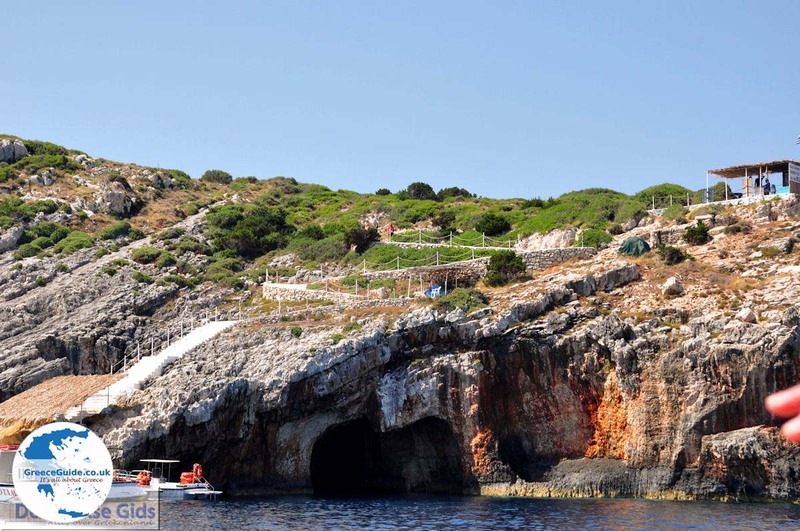 These caves were discovered at the end of the 19th century. 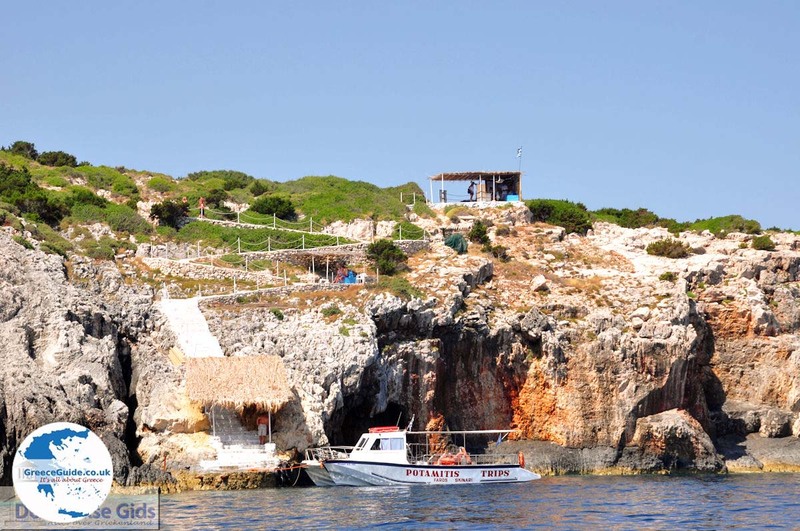 From Aghios Nikolaos, the most northeastern fishing village of Zakynthos, you can sail with small boats to the Blue Caves. 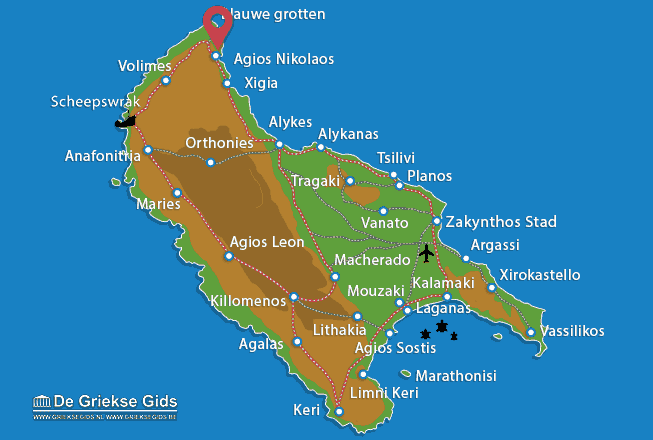 You can leave also from other places such as from Alykanas, Laganas or Zakynthos town. 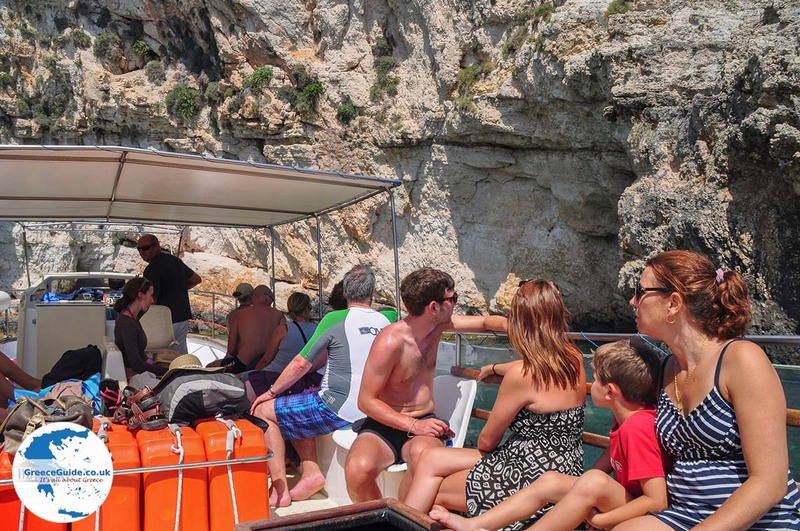 If you want to experience the unique phenomenon of the Blue Caves, dive in the blue water in the caves, and see how your skin tone colours really blue during this dive! A visit to the "Blue Caves" is an absolute must. 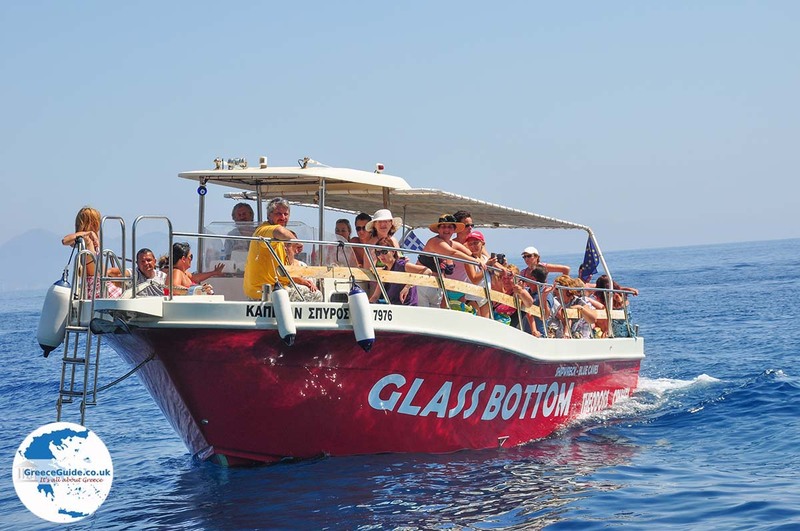 Boat trips to the blue caves are organised by Nefis Travel. 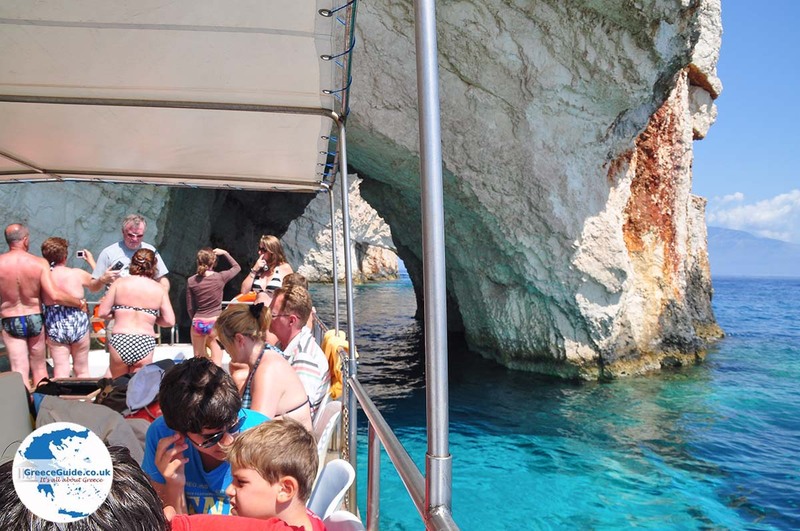 Zakynthos: Where on the map is Blue Caves located?